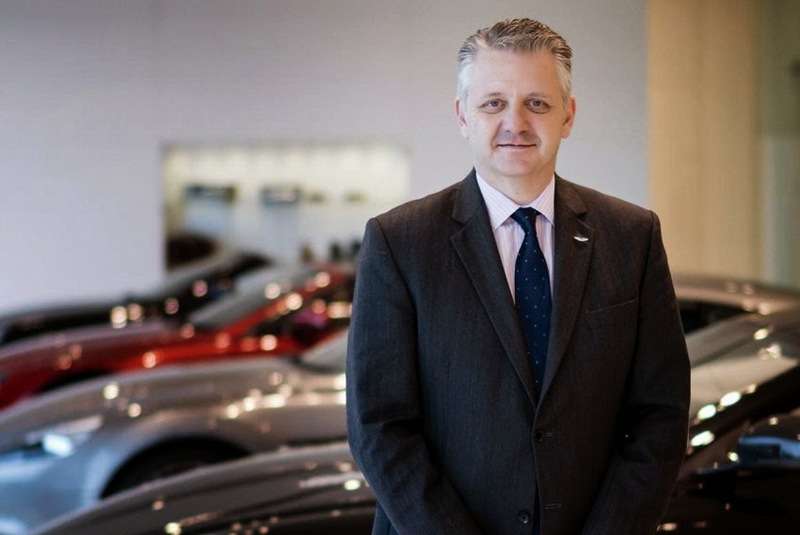 Aston Martin Works is boosting the size of its new and pre-owned sales team as it both responds to a growth in business and prepares for a busy 60th anniversary year in 2015.
joins the business as General Sales Manager. Justin, 47, is an Aston Martin expert due to his ten-year association with the brand. "I'm thrilled to join the team at Newport Pagnell. I see it as a fantastic opportunity to support the strong sales growth that's taking place at Works and, of course, I relish the privilege of working at the historic home of Aston Martin," said Justin. Justin is joined in the sales team by new Apprentice Sales Executive Tom Reinhold, 25, who has been taken on at Aston Martin Works to both support the sales function and learn the luxury sales business. Tom joins Aston Martin Works from The Beaulieu Motor Museum where he worked as an events co-ordinator. "I'm a true car enthusiast with a huge passion for both new and vintage sports cars - so to have the opportunity to learn my trade at Aston Martin Works really is a dream come true for me!" said Tom. "I'm very happy that we have been able to strengthen our sales team so effectively," said Paul Spires, Commercial Director, Aston Martin Works. "These additions are the clearest sign yet that we are determined to keep delivering the excellent sales service that our loyal customers rightly expect and demand."